There was a competition in the Betties Basket Facebook group a while back. Contestants got to send in their design idea and the designers that participated got to choose the design they wanted to make into a pattern. I choose Heathers dress idea. She made a drawing for a dress with crossed straps and a high/low wrapped skirt. The dress was made with woven fabrics. After 2 muslins and a few changes I made the final version. 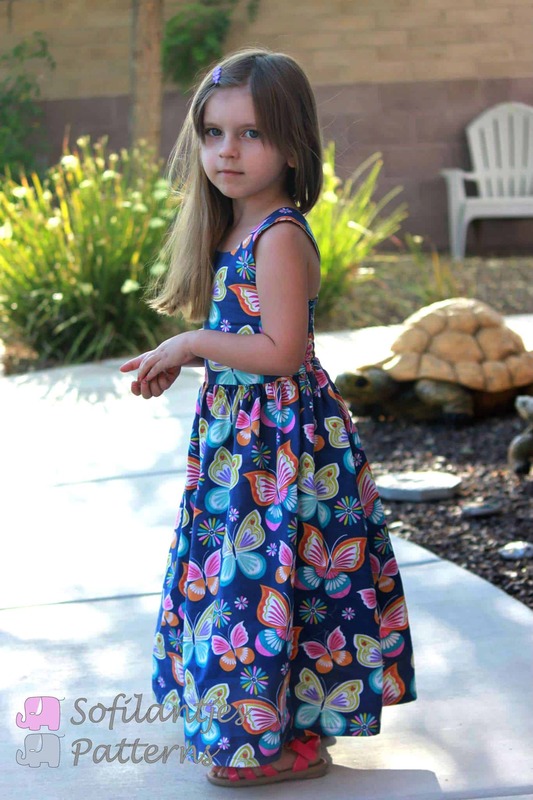 A dress with shirred or elastic back (no zippers or buttons). Straps that meet in the back and are cut in one piece, so no shoulder seams. The high/low wrapped skirt option, top option and maxi dress option. And my favorite, a seamless bodice. The Brueram top and dresses (meaning Heather in Latin) is now available. And it is cuter than cute! The top length is just so fun to see. The dress option with high/low hem and wrapped skirt is classic looking. The skirt is at knee-length but for the smaller sizes just a little longer. This way they get to wear it a bit longer. The maxi length is so beautiful. I love this look. 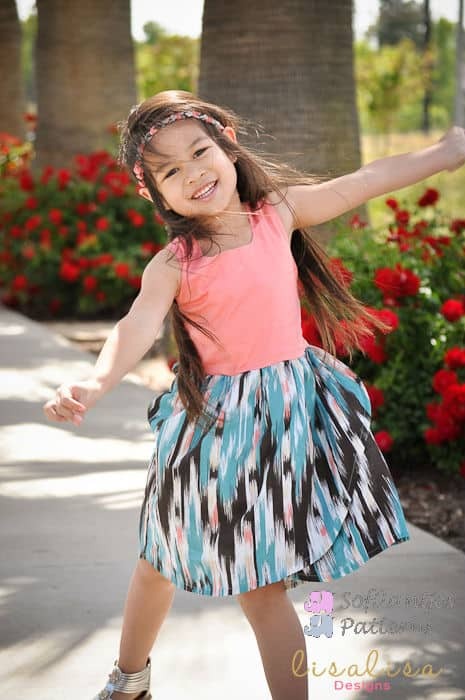 It is perfect with the fitted bodice and clean look. 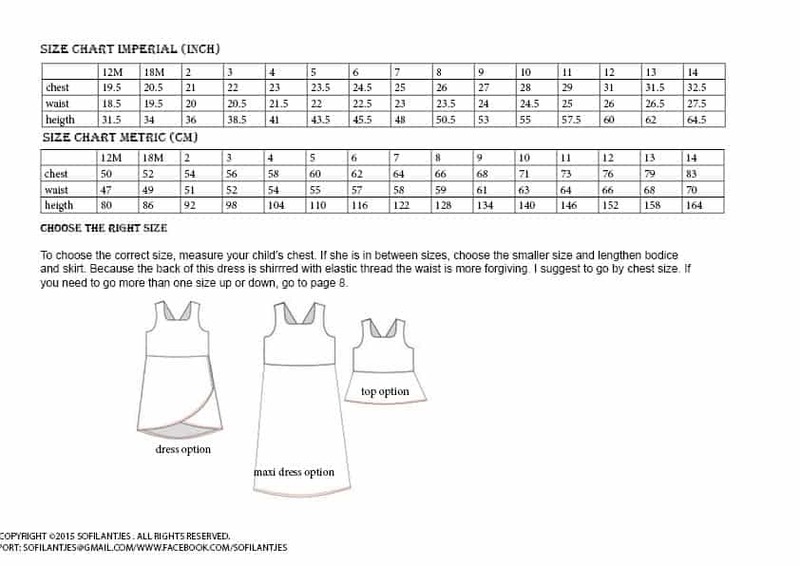 And because there are girls that do not fit the standard but do want to have pretty clothes, we added instructions on how to up or downsize the pattern pieces. Size 10 to 14 chest. 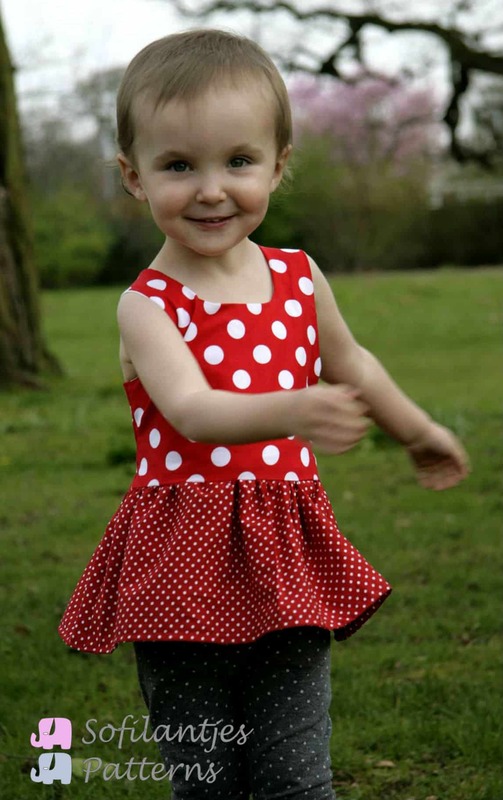 The pattern comes in sizes 12m to 14y but is not made for the developing chest. The bodice and wrapped skirt are made using pattern pieces. 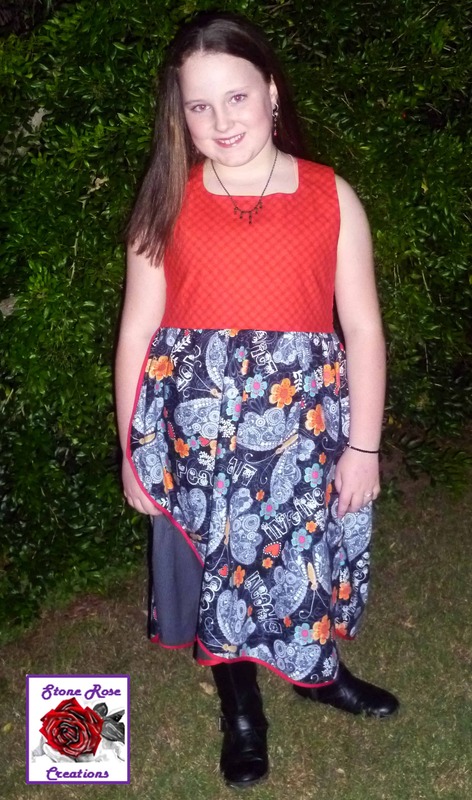 The top and maxi skirt are made by using a cutting chart. The bodice has is made to have no exposed seams and requires handsewing. The neckline is understitched. Sewing level is, depending on the options you choose, from advanced beginner to intermediate. The skirt is hemmed but you could choose to use bias tape (not in the instructions).